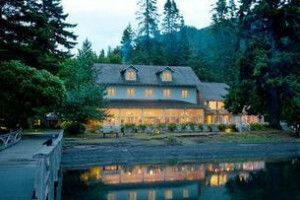 The rustic Lake Crescent Lodge and its expansive grounds are located on beautiful Lake Crescent. Lake Crescent is famous for its striking turquoise colored water, great trout fishing, and scuba diving. Book Online. We feature the lodge as part of our luxury Olympic Park hiking tours. Come feel the Soul of this magnificent park, and experience authentic beauty and majesty. Where is Lake Crescent Lodge located? 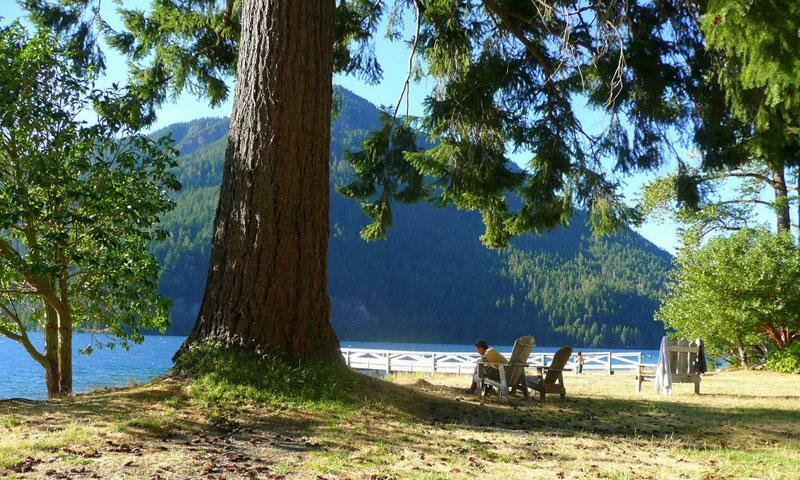 Lake Crescent Lodge is located about 20 miles west of the city of Port Angeles on Olympic Highway, WA-101. Tell me more about Lake Crescent Lodge. Historic Facts: The main lodge was built in 1916 and was originally a tavern. The Lodge is on the Register of Historic Places. Hiking: One hiking trail that should not be missed is Barnes Creek Trail, which leads over wooden bridges and along the rushing creek to the spectacular Marymere Falls. Another enjoyable local trail is the Spruce Railroad Trail which leads hikers through an abandoned homestead, along a WWI era railroad route, and ends at a beautiful swimming spot called Devil’s Punch Bowl. Biking: The Spruce Railroad Trail is one of the few mountain bike friendly trails in Olympic National Park.